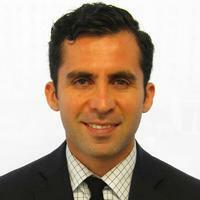 Marco Chavarín is Vice President of Community Development at Citi. Previous to Citi, Marco worked for the Honorable Treasurer José Cisneros providing access to San Francisco residents to the financial mainstream since November 2008. Chavarín manages the Bank on San Francisco and Payday Plus SF program for the San Francisco Treasurer’s Office of Financial Empowerment; connecting low-income San Franciscans to healthy financial products and providing culturally relevant financial education to ensure success in the mainstream. Chavarín also co-chairs San Francisco’s Smart Money Network with the Charles Schwab Foundation. For the past three years, Chavarín has also served on the Board of Directors of HomeownershipSF, helping diverse and underserved households buy and keep homes in San Francisco.